A bag of 50 Qualatex 646Q Orange Modelling Balloons. These premium quality balloons are made by Qualatex - the best modelling balloons as used by the professionals. 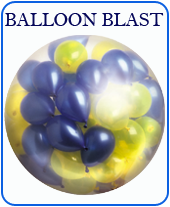 These are perfect for parties, entertaining, decoration, balloon sculpting, craft & displays. These 646Q Orange Entertainer balloons They are better for making much bigger balloon models or sculptures.